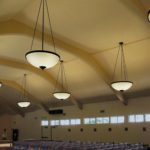 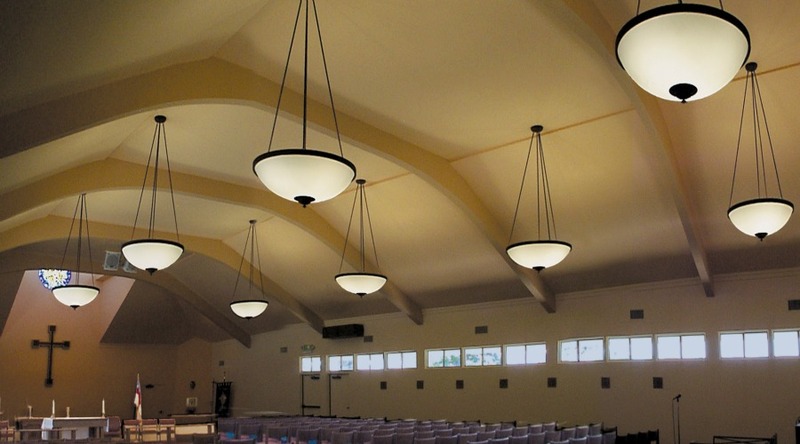 St John’s Episcopal Church in La Verne, CA is another example of our custom church lighting expertise. 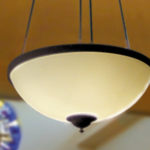 Classic 48″ bowl design with wired with (4) 100 watt lamps. 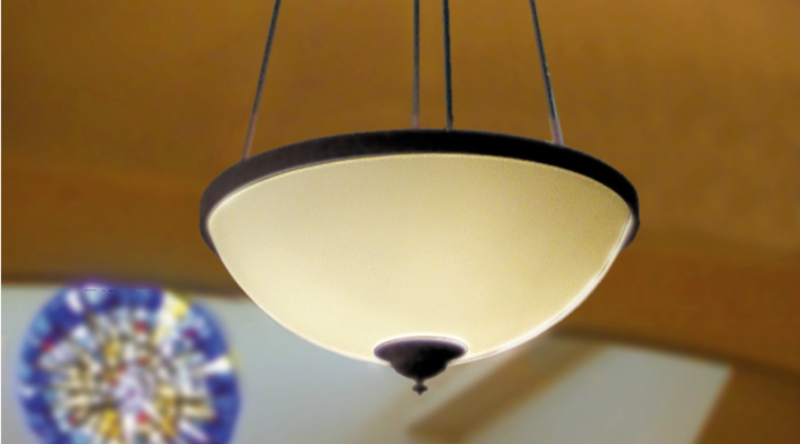 Bronze finish with white acrylic bowl.